A billion people go to bed hungry each day and by 2050 there will be two billion more mouths to feed. This will be one of the world’s biggest challenges. The world’s resources including land, water and energy are already overstretched. Our business, and the world’s food security, depends on sustainable natural resources, healthy ecosystems and thriving rural communities. 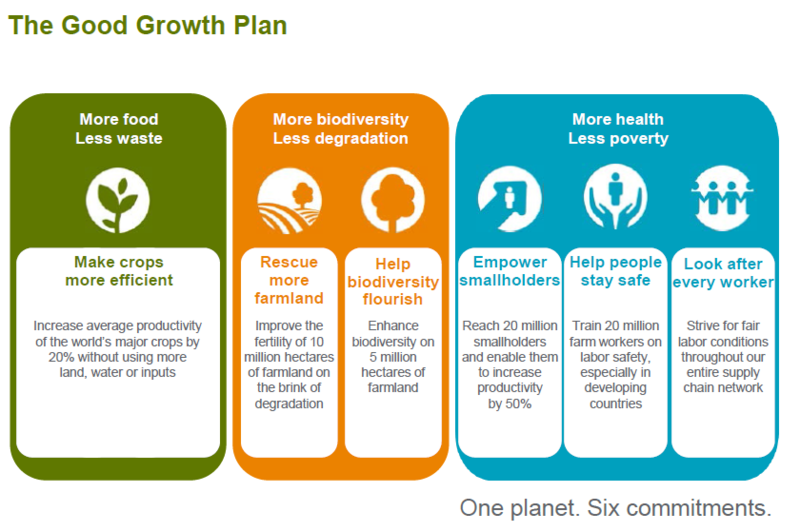 To play our part, Syngenta has the below six specific commitments to be achieved by 2020, under the Good Growth Plan (GGP).